Huawei’s affordable sub-brand Honor has released its stylish V20 in Paris, with a global price tag from £499 (~A$905). The Honor V20 was launched in China in December 2018 and is now rolling out to other countries. Austrailan availability is yet to be confirmed. 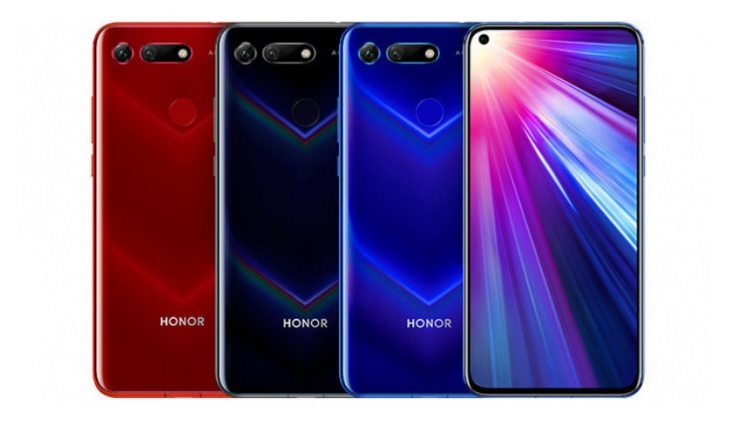 The Honor View 20 is powered by Huawei’s HiSilicon Kirin 980 chipset, which also runs the flagship Mate 20 and Mate 20 Pro. The phone features a 6.4-inch FHD+ LCD touchscreen with a punch-hole 25MP selfie camera and a super-thin bezel. It also has a large 1/2-inch 48MP main camera and a TOF 3D stereo camera. The TOF 3D camera enables depth sensing, skeletal tracking, real-time motion capture, and real-time video retouching. It offers 6/8GB of RAM and 128/256GB of non-expandable storage, 4,000 mAh battery and runs Android 9 Pie with Magic UI 2. There’s a 3.5mm headphone jack on board, and rear fingerprint sensor. The rear is covered in a gradient glass panel with a chevron design, available in red, blue, or black — and there are special Fortnite and Moschino versions for gamers and fashion-lovers. Pricing begins at £499 (roughly A$905) for the 6GB model. Australian availability and pricing is yet to be confirmed.